Those who have never kayaked before may be confused by the reasons why so many people find it to be their favorite sport. For me, there’s very little that can top kayaking, even during the winter when going outside seems like a new form of torture. Below are some of the reasons why I love kayaking. It’s a great form of exercise – Being able to properly use a kayak takes a lot of upper body strength and a lot of balance. Every time you go out onto the water, even if you’re just a beginner, you can feel yourself getting stronger and getting better. This makes you feel great in all other parts of your life. As your skill improves, your confidence and happiness will also improve. You connect with nature – Most places that host kayaking are found where there’s an abundance of wildlife and beautiful scenes to behold. If you travel deep into some areas, you’ll even be able to kayak next to whales and cranes. There’s very little that makes you feel more alive and connected than looking over into the water and seeing a creature you’ve only heard of in books. Even kayaking next to major cities allows for a moment of reset while you feel the wind and water right next to you. Very little compares to that kind of wholeness. Perfect excuse to enjoy being alone – Kayaking can be both a group and solo event. If you prefer being part of a group, you can go out with your friends and explore an area together. However, you’re in charge of your own kayak, so even if you do go in a group, you’re also riding solo. For those looking for a great excuse to get away and be by yourself, this is it. There’s nothing that will clear your mind more than just hearing the sounds of nature around you and knowing it’s just you and the world in that moment. You never know what you’ll find – You might kayak in the same area at the same time, but it’s never going to be exactly the same. Each time you go out it’s a brand new adventure and a brand new world. There’s nothing more exciting than going to the same area in both the summer and the winter—just seeing how nature transforms itself is magnificent and sacred. If you’re looking for an adrenaline kick, you can try more challenging areas and feel the drive of adventure and exploration fuel you. 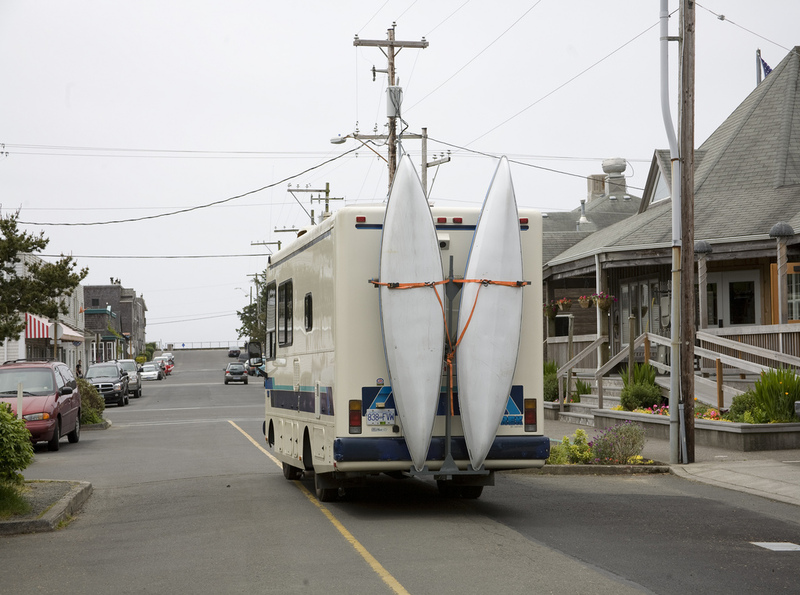 I can combine it with motorhoming – In 2014 I was in the UK where I decided to rent a motorhome from Motorhome Freedom. Freedom really was the word, I went everywhere, in the UK and across Europe. At one point I found myself in the Ardèche region of France. The Ardèche is very famous for canoeing and kayaking, which is exactly what I did. At the time I thought it would be so good to combine the two hobbies, now i do thanks to a Fiamma Kayak Carrier. Highly recommended for carrying kayaks on motorhomes or minivans. Kayaking may not appeal to all tastes, but it definitely is something made for all kinds of people from different kinds of areas, and from different walks of life. I love how inclusive and open it is. You can make it what you need it to be in that moment, and let it heal wounds, grow spirits and connect you with a world and with a feeling of serenity you may have felt you had lost long ago. There’s very little to purchase and very little to pay—just find a place to paddle and leave all your worries behind.